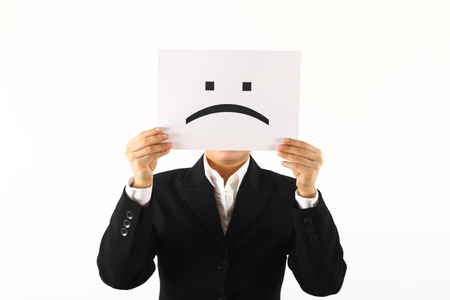 Singapore has received the grim honour of being the least happy and optimistic workforce in Asia. In JobStreet.com’s 2016 Happiness Index Report, Singaporean workers clocked in with the lowest average job satisfaction rating at 5.09 out of 10. Filipinos, on the other hand, said they were the most satisfied with an average rating of 6.25. It appears that Singaporeans are also the most pessimistic about the future, with workers from the city state posting the lowest prediction of how satisfied they will be in six months time. Indonesian workers were the most optimistic. Seven Asian countries were surveyed for this report including Hong Kong, Vietnam, Thailand, and Malaysia with respondents ranging from fresh graduates to top management. Employees cited salary, benefits, leadership, career development, job security, culture, corporate values, trainings, work schedule, and immediate superior as the biggest factors in their job satisfaction. Meanwhile, uninspiring leadership, insufficient salary, lack of benefits, and lack of trainings remain the most cited reasons causing dissatisfaction in workers. While the national results might look grim, there are many employers in Singapore that are pushing the boundaries to listen to their staff feedback and provide an excellent employee experience. Jason Ho, head of group HR at OCBC Bank previously spoke to HRD about why OCBC has such high employee satisfaction ratings. "Our brand index improved from 84% in 2014 to 86% in 2015, above Aon Hewitt’s Best Employers’ average of 85%, while our overall employee engagement score has been increasing every year from 60% in 2010 to 79% in 2015" he said. Ho spoke about the importance of listening to employees. "We conduct an annual employee engagement survey to measure how well the employer brand is delivered to our employees, and find out how they feel about their jobs and work environment" said Ho.